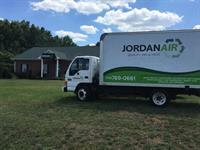 Jordan Air provides residential heating and air conditioning services as well as energy solutions in Athens and surrounding areas. With offices in Watkinsville, Lexington, Danielsville and Greensboro, we have provided quality service and repair to our community since 1993. Jordan Air offers a wide range of residential heating and air products and services to help guarantee your comfort and maximize your energy efficiency, including weekend and emergency service. We are also a proud a Trane Dealer. We also carry a large selection of affordable air filters, thermostats, accessories and more!